Protocols ensure the consistent application of proven treatment strategies. And the Alert Patient's Medicine Security Bag can be a valuable instrument in any protocol that requires controlling the distribution and use of medication. The Alert Patient's Medicine Security Bag is designed specifically to provide a high level of security and accountability. Features including dual consecutive serial numbers with corresponding bar codes, a tear off receipt, and a tamper evident ALERT/VOID tape closure afford security protection to the patient and control for the provider. 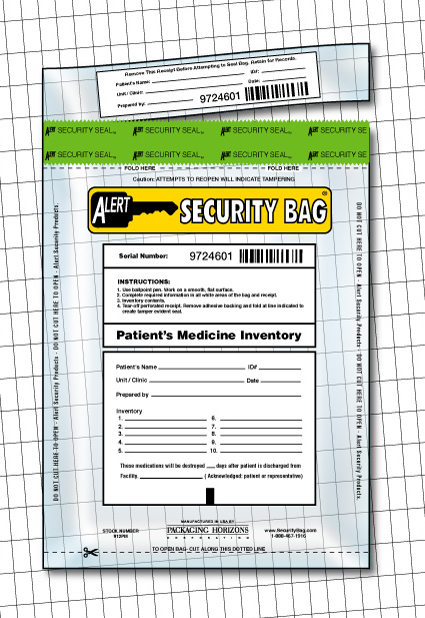 The unique Alert Continuous Security roll package maintains each successive Alert Patient's Medicine Bag in numerical order - another security feature that provides tracking and traceability for each bag in use. 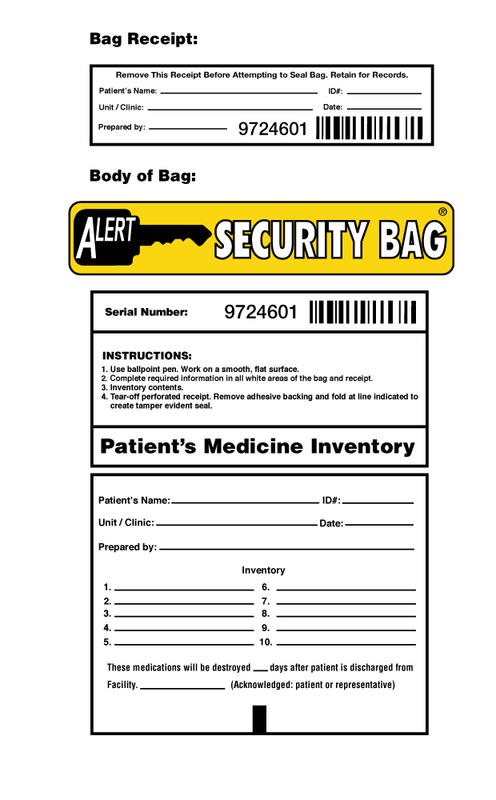 For details on the security features of the Alert Patient's Medicine Bag, click on the bag to the right. The Alert Patient's Medicine Bag is designed with a write-on information block for recording patient information and identification as well as the detail of the contents. Click on the image to the left to view the details of the information block. Alert Patient's Medicine Security Bags are used in hospitals and healthcare facilities as well as nursing homes and rehabilitation facilities – any situation in which drug access and control are important. Your choice of a Patient's Medicine Inventory bag is a critical decision in your overall medication protocol. 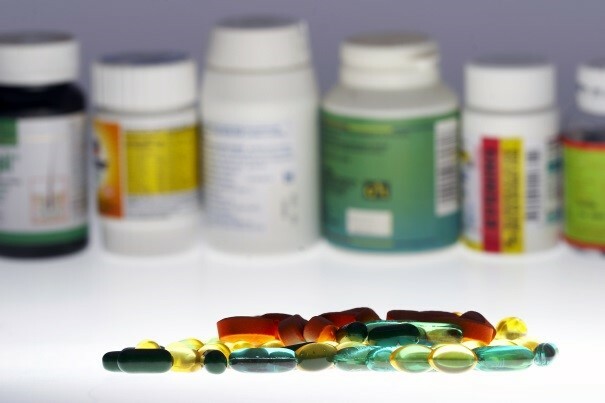 Samples of the Alert Patient's Medicine Security Bag are available free of charge for your evaluation.